Global aircraft manufacturing company Boeing on Friday said it is looking at setting up a chopper assembly line in India. 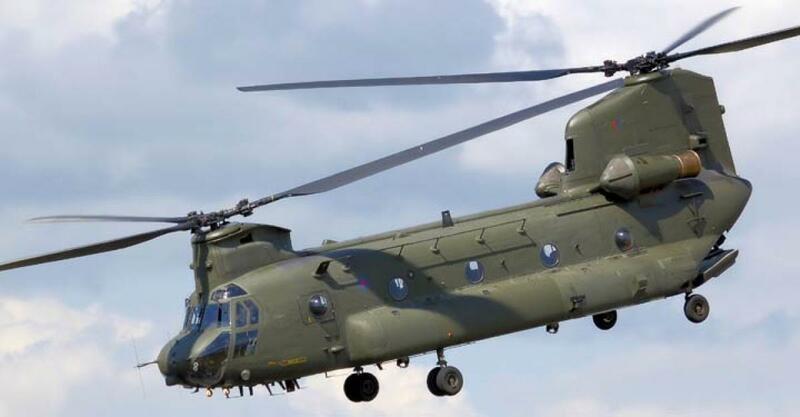 According to a top official of the company, the assembly line will either be for the Apache combat helicopter or the Chinook heavy-lift chopper. New Delhi: Global aircraft manufacturing company Boeing on Friday said it is looking at setting up a chopper assembly line in India. According to a top official of the company, the assembly line will either be for the Apache combat helicopter or the Chinook heavy-lift chopper. Recently, Boeing closed a deal to sell 22 Apache combat helicopters and 15 Chinook CH-47F heavy-lift copters to India. Boeing Chairman James McNerney said at an event here that the aircraft manufacturer was evaluating assembling one of these two helicopters in India. Currently, the beams, or the spine, of the Boeing 787 Dreamliner aircraft are being made in a Nagpur facility. The company said it was willing to take part in Prime Minister Narendra Modi's 'Make-in-India' initiative. "We can play at the centre of 'Make-in-India' keeping in line with Boeing's global product strategy. We want design and make in India for India and the world. India is now better poised to make investments for us after the new government has come in," McNerney said. "Boeing sees a lot of opportunity and capability in India and wants to help it scale up its economy. India will give us business and we in turn will provide technology and 'know-how' by collaborating with the partners in the country including the government," McNerney said. The chairman said the reason for doing more business in India was because the country was a natural ally. "India is a big market and after the civil nuclear deal, governments of both countries can now decide more levels of cooperation in the fields of defence and aerospace technology," McNerney said. He also praised Modi's vision in this regard. "Under the new leadership, the country is moving towards the manufacturing dream. The efforts of changing tax regime and working towards speedy dispute resolution are some of the things that this government is working on and it is an encouraging feeling," McNerney said. To a question on aerospace manufacturing, McNerney said the company was looking at developing skills in India by participating in the Skills India mission. "Manufacturing is a closer reality in India than most people think. We will be soon evaluating making aircraft parts like wings and fuselage here," he said. He added that the country will buy nearly 1,800 civil aircraft over the next 20 years which will call for a huge investment. "Boeing sees this market as a civil aviation opportunity as conversion of only one percent of people travelling in trains to aviation can double the market size here. We are also looking at producing more fuel-efficient, green and longer-flying-capable planes to bring down the cost of flying to attract more customers," McNerney said. McNerney revealed that the company has closed more defence deals with India than the whole of the US defence industry combined in the last fifty years. "Yes indeed! Boeing has closed more defence deals with India than whole of the US combined in the last fifty years," McNerney said. Asked about closing several deals with the government, McNerney said the trick was to have a team in India. "The probable reason of our success is that we anticipated these deals will come and set up a team here rather than bringing the aircraft here first and the team later." "Also, the Indian military is organised, capable and they know what equipment they want... hence it is easier to work with them. The series of defence deals also shows the country's commitment to keeping its borders safe especially in wake of shaky neighbours," McNerney said. The chairman also said that the company had stopped production of the heavy lift transport aircraft C-17 Globemaster. The announcement comes at a time when the Indian government required three more Globemaster planes. The Boeing C-17 Globemaster is a large military transport aircraft. "We have only one C-17 with us. Of course, there are buying opportunities in the used market and the model will stay in the market for another 20 to 30 years," the chairman said. The Indian government and Boeing had entered into a purchase agreement for 10 C-17 Globemaster aircraft with an option for buying six more. The deal was estimated at $4.1 billion. Currently, the Indian Air Force's (IAF) Globemaster fleet is based out of Hindon Air Force Station near the national capital. The fleet is operated by the 'Skylords' squadron for strategic airlift assignments. United States has the largest fleet of Globemaster aircraft (over 220) followed by India which has only 10 C-17s.